We all know how dangerous smoking is to our health, but despite all the warnings, the nagging from friends and family, some people continue to regularly light up. It is easy to imagine the smokers among us have their heads in the sand, but statistics show at least 82% of them are keen to quit, and about 50% try to quit each year. On average, a smoker will make five to ten attempts at quitting before they finally put down the cigarettes for good, but this is different for everyone, some people can give up first try, while others try many times. 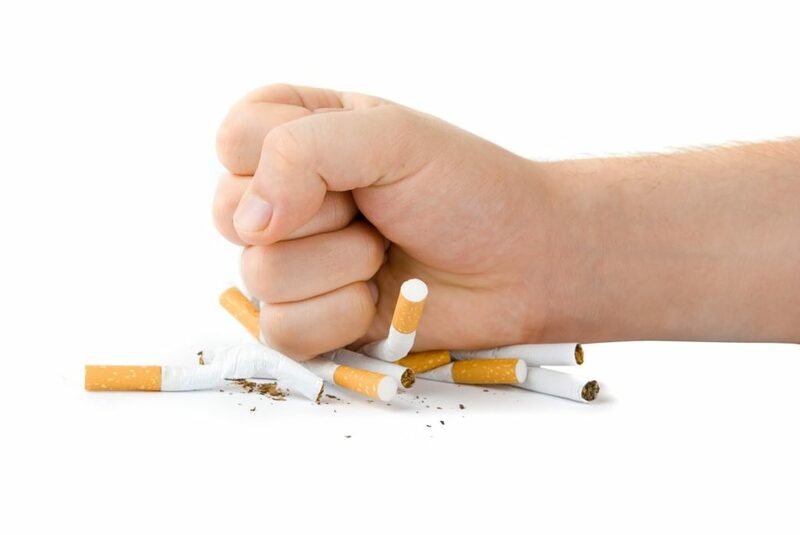 When you try to quit smoking, you are not just fighting one addiction, but actually doing battle with three. There are three distinct and separate parts to our craving for cigarettes: a nicotine addiction, an emotional addiction, and a habitual addiction. The emotional addiction, however, is much harder to break. This is the reason most people continue to smoke, and it can be extremely complex. We use cigarettes for many reasons: to reward ourselves, to console ourselves when things are going badly, to calm ourselves down, to take time out. People trying to quit smoking need to find another way to deal with stress, and another way to reward themselves. The habitual addiction relates to when and where you smoke and points to your habits. Perhaps you always have a cigarette with your morning coffee, or after lunch. Maybe one or two on the way home or when you have a drink. These habits are hard to break. The medical profession describes smoking as a chronic relapsing condition, so for many people, the urge never completely goes away. Therefore, it can be brutally hard to quit. The good news about quitting is that, while the first two weeks can be very difficult, by week three you should have started to rewrite your habits and saying no will steadily become easier. The more you know about your own smoking habits, the easier it will be for you to work out new habits. Never give up giving up. Each attempt to quit will teach you something about your habit and the triggers you find hardest to resist. So do not despair if you have tried to kick the habit several times. What you are trying to do is very hard. And remember: the rewards of success will be amazing. The health benefits will quickly stack up, and you will also become a great role model for other smokers, and for your children. The great benefit will be to your self-esteem, knowing you have won the battle against one of the world’s most addictive adversaries. There are now more former smokers than current smokers, hundreds of thousands of Americans have quit, and you can too!